Assistant coach Youngjin Yoon returns for his third season with the Knights in 2019. 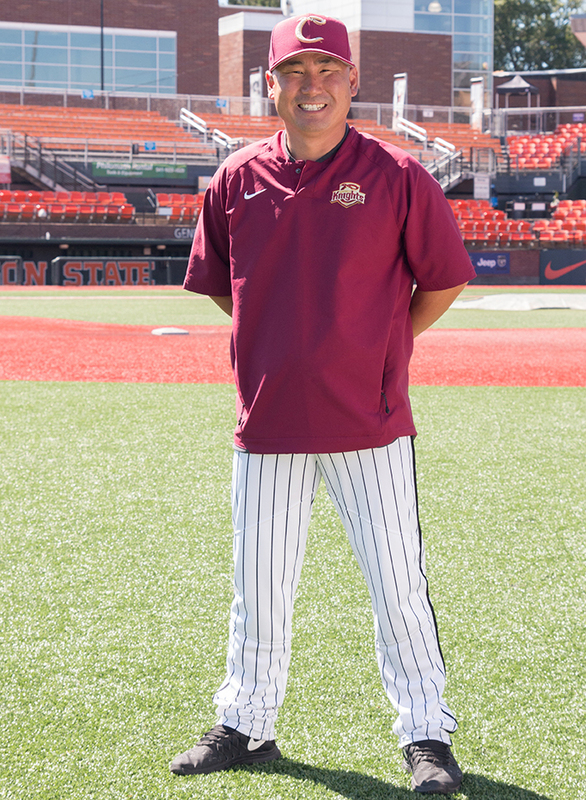 A veteran of over 10 seasons with the Lotte Giants in South Korea’s equivalent of Major League Baseball – the Korean Baseball Organization – Yoon has worked in the United States since 2009, where he was mentored by former Riverside City College head coach Dennis Rogers, a longtime partner of the Knights. Yoon’s hybrid training philosophy merges the conventional power pitching approach used in American baseball with the precision and detail-oriented style popular in Southeast Asia. He specializes in strength, conditioning, mental awareness, cognitive preparation, dietary habits, and skill-set development. Yoon is an energetic and uplifting presence at the ballpark and coached first base in 2017 and 2018. Yoon, his wife and two daughters moved to Oregon last off-season and are living in Albany. Yoon is currently an assistant baseball coach at Cal State Bakersfield.